Catch three treasures, then follow the flashing arrow to get to the next level. Pick up the tiki mask and skulls for points and energy. If you don't re-energize you lose a life! Avoid the whales, sharks, octopuses, fish, crabs and squid. Use the arrow keys to direct the sea diver. If you want to play Undersea Underworld games online you have come to the right place! GamesLoon adds new Undersea Underworld games every week. This is your game portal where you can find the biggest collection of free Undersea Underworld games online. 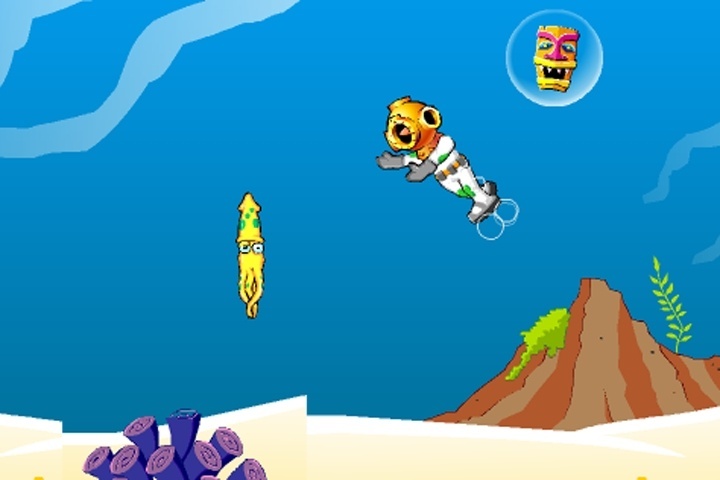 Do not forget to rate our Undersea Underworld free online games while playing!